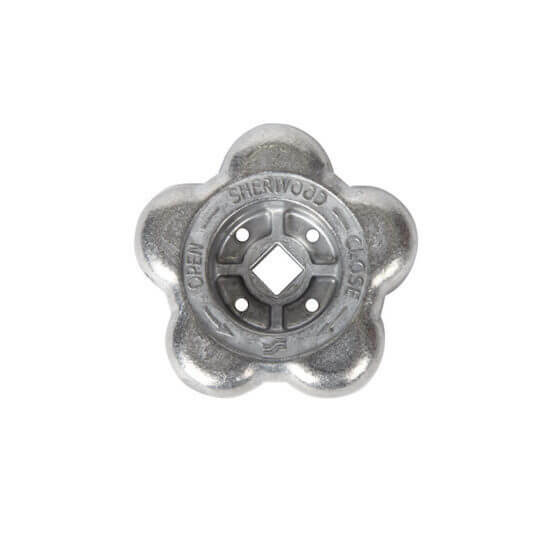 Replacement aluminum handwheel for Sherwood GV-series valves. 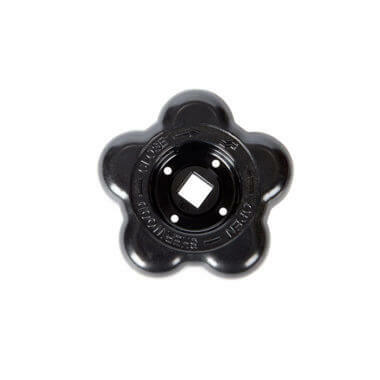 Direct fit, OE replacement for broken or damaged handwheels. Square inset. Nut sold separately here. New aluminum Sherwood GV valve handwheel. Tough, high-quality replacement wheel from the original manufacturer for true fit and function. Square hole socket. 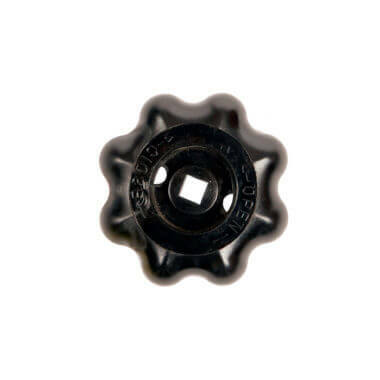 Clear open and close marks with turn arrows stamped on wheel top for quick and precise operation. Wheel fastening nut is not included but is available separately here. Fit assured only for Sherwood GV valves. 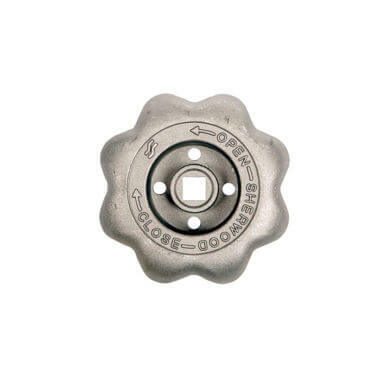 For other valve styles, a large number of other wheels are available on the handwheel page.